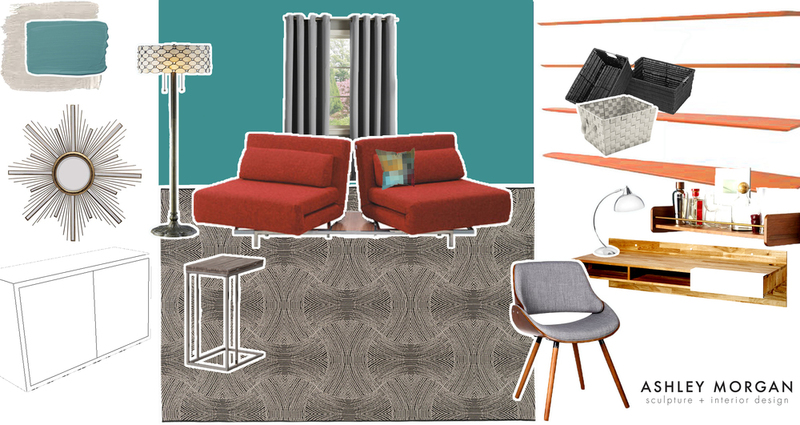 Design Consultation for a multi-use dressing and guest room. Two layouts provided and then a final combination was selected. I worked with the client to complete Phase 1: Room Layout, Furniture and Fixture Selections, Paint Scheme / Contractor Coordination and Custom Shelves with ample storage- then the client can order furniture as there is room in the budget.